Jon L. Cherney was appointed to the position of Executive Director in March 2018 and brings with him a strong background in sports television, sales and marketing. A media industry veteran of over 30 years, Jon previously worked in a variety of management-level positions at KSTP-TV, Midwest Sports Channel (predecessor to Fox Sports North), Raycom Sports and ShopNBC. Prior to moving to Minnesota in 1997, Jon worked for Home Team Sports, a regional cable sports network in the Washington, DC area. Kalli came to the Herb Brooks Foundation in 2017 with many years of experience playing and coaching hockey. She found her love for the ice early on and played NCAA Division 1 hockey at St. Cloud State University (SCSU). She was a captain for the Huskies and went on to play professionally in Sweden for the Gothenburg Hockey Club. She led the team to a first-place regular season finish and led the league in points during the 2015-2016 season. She has coached many teams since playing abroad including the Cretin-Derham Hall (CDH) women’s hockey team and with the Roseville Area Youth Hockey Association (RAYHA). Kalli currently plays for the Minnesota Whitecaps, the 2019 champions of the National Women's Hockey League, and coaches for OS Hockey Training. She is also a member of the USA Women’s National Bandy team. Joe Dziedzic has been the Director of Hockey for the Herb Brooks Foundation since 2012. Joe has been running JD Hockey, a hockey training business, for over 15 years which consists of skill camps, 3 on 3 leagues, and lessons. Joe has coached high school hockey in Minneapolis the past 6 years and previously spent time coaching in the Upper Midwest HS Elite League. Joe played 5 years of professional hockey with the Pittsburgh Penguins and Phoenix Coyotes, as well as with their minor league teams in Cleveland and Springfield. He played college hockey at the University of Minnesota and was named Mr Hockey in 1990 before graduating from Edison High School. Joe and wife Kelly have 3 kids and reside in Roseville, MN. Jim Boo played hockey for Herb Brooks at the University of Minnesota. He was part of the team that won the 1976 NCAA Men's Ice Hockey Championship. After a pro career in which he played for the Minnesota North Stars in the NHL and the Oklahoma City Stars of the CHL, Boo retired from hockey in 1980. Boo works in the real estate industry, leading his own company Team Boo Realty. Henry Boucha has been labeled as the most electrifying player in Minnesota hockey history. Also skilled in football and baseball, Boucha starred for five years at both defense and center for the Warroad High School hockey team. 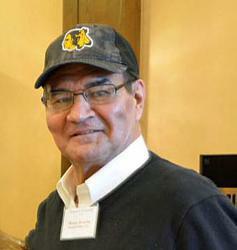 A tall, powerfully-built Ojibwa Indian, Boucha led Warroad to the 1969 state tournament, where he was injured in an emotion-charged 5-4 overtime final loss to Edina -- one of the all-time classic games in Minnesota State High School Championship history. "He was the most colorful hockey player ever to come out of Northern Minnesota," said Warroad coaching legend and fellow Hall of Fame enshrinee Cal Marvin. "When he played, it was so special that he brought people out of the old folks home to come and watch him play. He did it all. He was one of a kind." Boucha went on to play for the 1972 silver medal winning U.S. Olympic team, and at just 19, he signed with the Detroit Red Wings. After two years in the Motor City, Boucha came home when the Minnesota North Stars acquired him. But his career was tragically curtailed in his third NHL season when he suffered an eye injury on January 4, 1975 against Boston. He would come back to play for the WHA's Minnesota Fighting Saints in 1976, and then again in 1977 with the Scouts and Rockies of the NHL, but couldn't overcome his eye injury. He retired after that at just the age of 24. Boucha would go on to play for his hometown Warroad Lakers, and then give back by donating much of his time to helping advance various Native American causes. Winny Brodt Brown was the inaugural Ms. Hockey award winner leading her team to an undefeated season ending in a state title her senior year. In college she won two National Championships, one for the University of New Hampshire and one for the University of Minnesota. Winny was a member of the U.S.National Team from 1996-2006. Winny is currently the Captain of the Minnesota Whitecaps professional women’s hockey team of the NWHL. 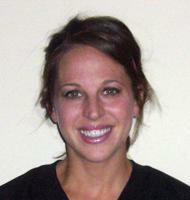 Winny owns OS Hockey Training and the Minnesota Jr. Whitecaps, an all-female hockey training program. 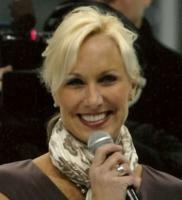 Winny has been a TV analyst for KSTC -TV Channel 45, the broadcast home of the Minnesota Girls State Hockey Tournament since 2006. Dan has been a board member since the creation of the Herb Brooks Foundation in 2003. He is the son of the late Herb Brooks. Dan is involved in almost all key Foundation decisions, and plays an important role in developing community and business partnerships. 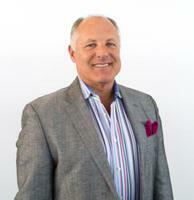 Dan is the Managing Director of RBC Wealth Management, where has serves as a financial consultant. He also leverages his financial expertise for the Foundation, and has helped it flourish fiscally, especially over the past few years. Dan has been with RBC since 1993. Earlier, he was a sales rep for IBM, a job he took after graduating in 1990 from the University of Denver, where he was a four-year letter winner in hockey. He graduated from St. Thomas Academy in St. Paul. Dan and his wife Marne reside in Minneapolis with their two daughters, Grace and Lucia. Kelly has been a board member since the Foundation began in 2003. She grew up in St. Paul and attended Convent of the Visitation. Like her brother, she graduated from the University of Denver (her degrees were in International Business and Spanish). Kelly then worked on several international advertising campaigns including print, TV and radio production. She is now a full-time mother, but finds the time to apply her creativity and marketing skills to the HBF programs and other non-profit organizations. Kelly and her husband Marc have three children - Olivia, Tommy and Joe. Their daughter is a tennis player and the twin boys are hockey players. Paul served as the Executive Director of the Minnesota Amateur Sports Commission (MASC) from 1987 until his retirement in December of 2014. Paul served as the only director of the MASC during that time, and he had the distinction of serving under five different Minnesota governors. Paul was instrumental in the building of the National Sports Center and numerous other amateur sports facilities around the state. He was the key leader in developing the Schwan Super Rink at the National Sports Center in 1997 – the world’s largest ice arena with eight sheets of ice under one roof. Also, under Paul’s leadership, the MASC initiated the Mighty Ducks Ice Arena grant program which helped build 62 new sheets of ice in Minnesota. Paul has a Masters of Public Affairs from the Humphrey School at the University of Minnesota and a B.A. from Concordia College in Moorhead, Minnesota. A native of the East Side of St. Paul, Paul grew up a few blocks from the childhood home of Herb Brooks. Doug Johnson has been a Board Member since 2008.Doug was born and raised in Minneapolis and attended Roosevelt High School where he played football, hockey and baseball. Doug then attended St. Thomas College in St. Paul and he was a four-year hockey letter-winner. For three seasons, Doug skated in the Minnesota North Stars organization. From 1986 to 2016, Doug was the publisher of Let's Play Hockey. In addition to serving on the Herb Brooks Foundation Board, Doug also serves on the Board of the US Hockey Hall of Fame Museum in Eveleth, MN. Doug brings a wealth of hockey knowledge and business acumen to the Board. Doug relies on his close and longtime friendship with Herb to help guide the vision and legacy to the next generation of young hockey players. Doug and his wife Linda reside in Eden Prairie with their son Devon and daughter Megan. As an athlete growing up, Jon Maruk understands the values and life lessons associated with sports, especially hockey. That is why he got involved with the Herb Brook Foundation, and he’ll continue to help grow the game of hockey by providing kids an opportunity to play. Maruk became a Herb Brooks Foundation Board Member in April, 2011 after spearheading a $10,000 donation to the Rink Rat program on behalf of the Butzow Family Foundation. Maruk is an Eden Prairie native who starred for Breck High School and went on to play for Notre Dame before heading to the minor leagues. Jon’s father, Dennis Maruk, played for Herb Brooks with the MinnesotaNorth Stars. Currently, Maruk works at C.H. Robinson Worldwide, Inc. in Eden Prairie and has been coaching Wayzata Youth Hockey since 2002, bringing passion, hands-on experience that makes the Herb Brooks Foundation a perfect fit. Rob McClanahan played for Herb Brooks at the University of Minnesota, 1980 ‘Miracle on Ice’ Olympic team and New York Rangers. After almost five seasons in the NHL, McClanahan retired from hockey and entered the financial industry with Morgan Stanley. Rob is currently working for Craig Hallum Capital in Minneapolis. He resides in Wayzata with his wife Kristin and daughter Sara. John McClellan served as Executive Director of the Herb Brooks Foundation from 2011 until his retirement in 2017. Under his leadership, the Foundation expanded the number of program locations and participants. John serves as a Board Member and is active in helping to continue the legacy of Coach Brooks. Oliva joined the Herb Brooks Foundation board in 2018. She is the granddaughter of Herb Brooks. She is currently a student at the University of St. Thomas where she plays tennis and is studying communications. Olivia is a graduate of Mahtomedi High School where was a six-time all-conference varsity tennis player and the 2016 Minnesota State High School Tennis Champion. She brings a fresh new young perspective to the Foundation and will be a great addition to expanding the HBF social media presence and awareness. Ken Pauly has been a varsity hockey coach for 28 years. As the Benilde-St. Margaret’s Red Knights head coach, Pauly’s teams have won 3 state titles, 13 conference championships and he is the winningest coach in that program's 59-year history. He is currently 16th in career victories among Minnesota coaches and sixth among active coaches. The University of Minnesota graduate has served over 10 years on the Minnesota Hockey Coaches Associations executive board – three of those as that group’s president. Pauly teaches full time in BSM’s social studies department and earned the school’s Faculty of the Year Award in 2012. A member of the school's hall of honor, he received the school’s Red Knight Leadership award in 2016. Ken and his wife, Anne Marie Dominguez, reside in Plymouth with their children, Caroline and A.J. Mike Reilly retired as Managing Director of UBS Securities in the spring of 2007 after 22 years in institutional fixed-income sales and management. During his career, he was responsible for a broad range of complex financial instruments. 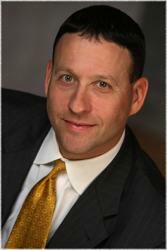 Mike began his career at Salomon Brothers in 1985, in the municipal bond sales group. Later, he moved to the taxable fixed income credit group. In 1995, UBS hired Mike to help start up a Midwest institutional office for fixed income. During the past decade, he has been an owner of, board member of, and consultant to more than 20 companies, including TPG Sports Magazine, Midwest Microcoatings, and Wayzata Investment Partners, among others. He is also a minority owner of the Minnesota Wild and the Sioux City Musketeers of the United States Hockey League. He also played for the Minnesota Golden Gophers, was drafted by the Montreal Canadiens and played in the minors in 1981. Mike leverages his vast business and hockey knowledge for the Foundation. He and his wife Lisa have five children and reside in Chanhassen, Minn. Following a career in professional hockey, Tom joined Dain Bosworth (a predecessor company of RBC Wealth Management-U.S.) as a financial advisor in March 1994. Tom quickly moved up the ranks to become a leader in the organization, first as an assistant branch director in Minneapolis, then as complex director in Milwaukee and then as a divisional director. He was named president of RBC Wealth Management-U.S. in early 2016. As president of RBC Wealth Management-U.S., Tom Sagissor plays a critical role in preserving the firm’s strong culture and accelerating its growth as a leading provider of banking and wealth management services to entrepreneurs, professionals and families throughout the United States. He leads the day-to-day operations of the firm’s private client group, which is comprised of nearly 1,900 advisors in 41 states across the U.S.
Tom graduated with a Bachelor of Arts degree from the University of Wisconsin (UW) Madison and is very active with the UW Badger Athletic foundation and alumni group. He was a member of the 1990 national championship UW badger hockey team. Neil Sheehy approaches player representation with the same energy and determination that had pushed him to the highest levels of professional hockey. Sheehy's storied hockey career took him from International Falls to Phillips Academy, Andover and then onto Harvard University where he played for the Crimson. A rugged defenseman, he featured prominently on the U.S. National Team (co-captain and MVP), Calgary Flames, and Washington Capitals. 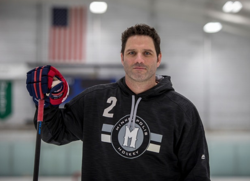 When Sheehy decided to guide other players into pro hockey careers, he had gained the respect of NHL general managers and NHL hockey personnel, plus the expertise to advise players on what it takes to reach the top. Understanding the complex business situations inherent to collective bargaining and contract issues, Sheehy earned his J.D. from William Mitchell College of Law in 1997 and is licensed to practice law in Minnesota and Massachusetts. Bill, the father of four kids, founded and continues to own Flagship USA, Inc. - a real estate management and investment company. Bill is the first cousin of the late Herb Brooks and one of the founding family board members. Herb Brooks was a father figure and mentor for Bill as he lost his father at age 6 to colon cancer. Growing up a single parent home few blocks from the Brooks family - Bill’s youth was filled with lessons on baseball, golf, hockey and life from the Brooks family. Herbie provided motivation for practicing sports and working hard in school. As an East St Paul native, Bill graduated from Johnson High School and played in three State High School tournaments – including the 1963 State Championship. He went on to play at the University of Minnesota as a freshman under coach John Mariucci and transferred to Bemidji State University and enjoyed playing on three National Championship teams under Bob Peters while completing his college education. In the 1990’s Bill and Herbie spent many hours musing about ways to improve youth hockey. Herbie always emphasized the importance of team sports in shaping the character and values of youth players at all skill levels while being relentless in exploring ways to “give the game back to the kids”. 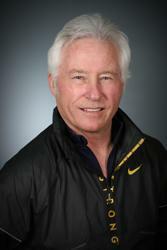 Pete Carlson started working at the National Sports Center (NSC) in 1997. He started out as the first ice rink manager at the Schwan Super Rink. As the Senior Director of Operations and Programming, he not only manages the operations of the now eight sheet facility, he is also in charge of making sure it is programmed to capacity. Pete enjoys working with both operations and ice sports programming colleagues to run this great facility. He is married to Jennifer Carlson who is a professor at Hamline University. They have two children Tait (21)and Claire (20). Both grew up at the Super Rink playing hockey and other sports offered by the NSC.